Buddy Encarnado had been one of the architects of Sta. Lucia's winning tradition in Philippine basketball. STA. Lucia formally marks its return to amateur basketball on Sunday when the Pilipino Commercial Basketball League opens shop at the Pasig Sports Center. The Realtors play Racal Kama Motors in the 4 p.m. opening game of the eight-team league, followed by the 6 p.m. encounter between Caida Tile Masters and the Foton Toplander. Coached by Bonnie Tan, the stint marks the comeback to the local basketball scene of the Realtors, who stepped down from the PBA following the 2010-11 season after 18 years of stay. Sta. Lucia first made its mark in the old Philippine Amateur Basketball League (later to be known as the PBL) where the careers of then budding amateurs such as Marlou Aquino, Eugene Quilban, Boyet Fernandez, Allan Garido, Peter Naron, Chris Bade, among others were all honed. In 1993, the Realtors would take their act to the pro league after buying the franchise of the Universal Robina Corporation and made agile big man June Limpot as the no. 1 overall pick in the draft. Sta. 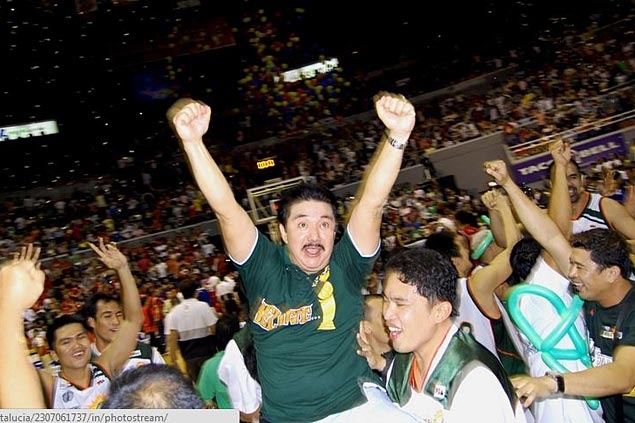 Lucia would win two titles in the PBA – 2001 Governors Cup under Norman Black and 2007-08 Philippine Cup with Fernandez calling the shots. Other teams seeing action in the league are Jumbo Plastic Linoleum, Foton, Supremo Lex Builders, and Euromed, whose team will parade the core of the Café France squad that won the PBA D-League Foundation Cup title.